There's no need to drive around town to auto parts stores trying to find the parts you need when JustforJeeps.com can ship them straight to your door at low sale prices. 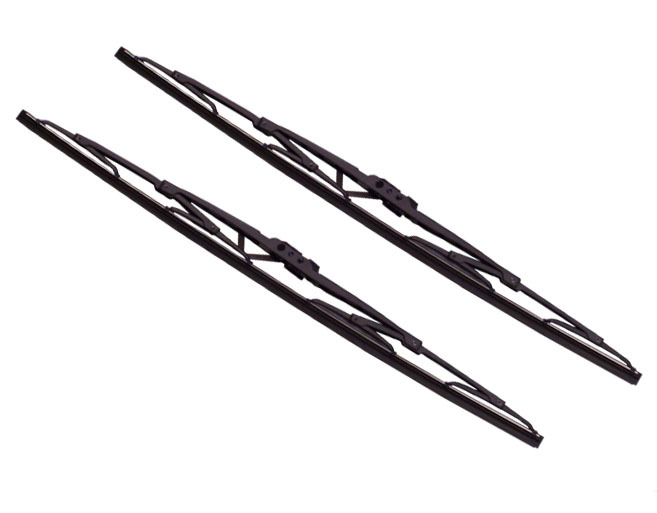 That includes commonly needed parts like these 21-inch front wiper blades (# WB000021AF) that fit the 1999 to 2004 Grand Cherokee WJ and 2005 to 2010 Grand Cherokee models. They're sold in pairs. Wipers work. Different from ones that were on, but installed easily after studying how previous ones were attsched. Worked great, quiet and awesome brand. These come as Magnetti Morelli wipers which are an awesome brand and fit perfect to the Jeep. I made the mistake of purchasing store brand wipers and they squeaked loudly. These Jeep wipers are light weight, sleek and silent when in use.